Summer is but dying embers at this point, so throw as many more summer parties as you can before the temperatures start dropping again. Of course, I'm not a fan of summer parties because I'm a fan of dropping temperatures, but I know I'm in the minority, so I found these yummy-looking posts with recipes for summer drinks and food. 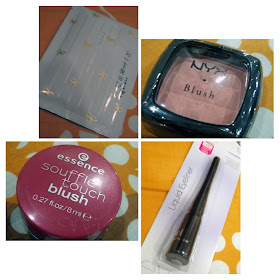 With changing seasons also comes sick days, so I found a post (from my sister's blog, I'll admit) about the best makeup for sick days. 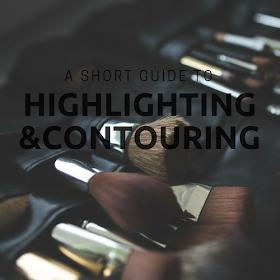 I also found a post about makeup essentials for busy girls, which made me think whether derma rollers should be considered a makeup essential at this point. I don't own a derma roller because I don't know how my sensitive skin will react to it, but they've been raved about in all corners of the interwebs, so I read this Byrdie post about how to use them properly. Food and beauty aside, if you're a graduating senior this year, it's never too early to start looking at and applying to jobs. Here's a Forbes post about how to make your LinkedIn profile stand out because even though it's also a social media platform, LinkedIn plays by its own rules. Once that works and you score an interview, here's a post about how to ace that interview as well as a post on how to follow up after the interview because you should always, always, always follow up at least once. 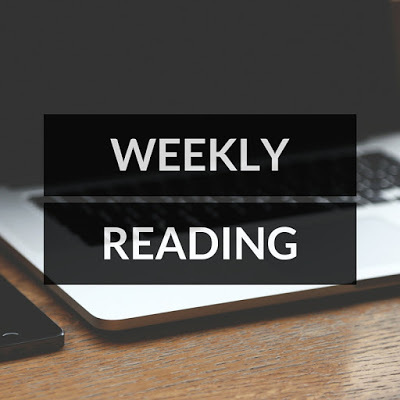 For more beauty posts as well as college and blogging posts, check out the previous Weekly Reading. A new academic year is almost upon us, and the class of 2022 (Dang, I'm getting old) will be starting freshman year in a few weeks. I was in the class of 2014, and since 2010, I've been finding more and more college posts like the ones below that I really wish I'd found before I started college, so for incoming freshman, forget everything you think you know about college because one of the worst things you can do when entering college is to try to "fit in" and do what you think all college students "should" do. Saltiness aside, I also found some pretty rad beauty posts that seem ideal for anyone looking to take the plunge into new beauty territory such as going blonde, splurging on new (or first) lipsticks, and getting a tattoo! In line with plunging into new territory, for my fellow bloggers (or aspiring bloggers) looking to expand (or start) their brands into Instagram or looking to start an email list or considering working with brands, here are some helpful posts I found last week. For more college posts as well as lifestyle and fashion posts, check out the previous Weekly Reading. 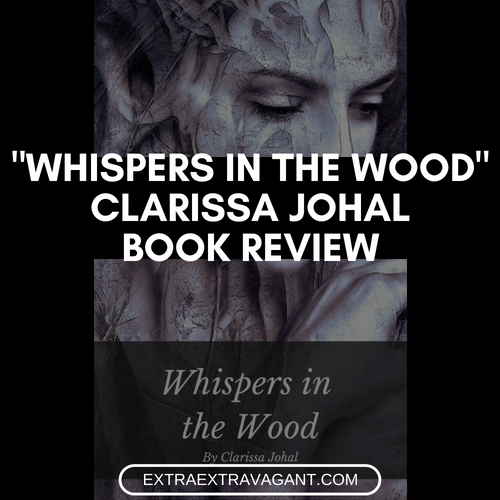 Whispers in the Wood by Clarissa Johal follows Rowan the protagonist as she uncovers the mystery of the small town she finds herself in on a backpacking trip through England. Seemingly peaceful and quiet at first, Sheep's Crossing soon reveals itself to be full of deadly secrets. Fueled by the townsfolk's reluctance to talk about it and by her own adventurous spirit, Rowan sets off in search of the whispers in the wood. What I enjoy most about this book is its natural progression. Events are paced very well, and exposition is provided only when necessary, so the build-up to the climax doesn't feel forced. At the same time, it allows for character development, even of Rowan. I'm usually skeptical of first-person narrative because it's hard to get character development right, and character development is my favorite part of any media, but Johal provides just the right type of exposition in just the right amount at just the right time that we very naturally learn about Rowan and the other characters without feeling like we're being fed exposition fodder just to tide us over to the next crucial turn of events. A slight, very nitpicky on my part hiccup in this use of first-person narrative, though, is how unnatural some of Rowan's reactions are to the situations she finds herself in. Sure, this book is fantasy with a touch of horror, so there really isn't a natural way of reacting to the situations, but some of her choices seem out of character. Again, that's a very nitpicky hiccup, so it goes without saying then that I rate this book 5 out of 5 stars and highly recommend Whispers in the Wood to fans of slow-reveal mystery that hints at ecofiction.